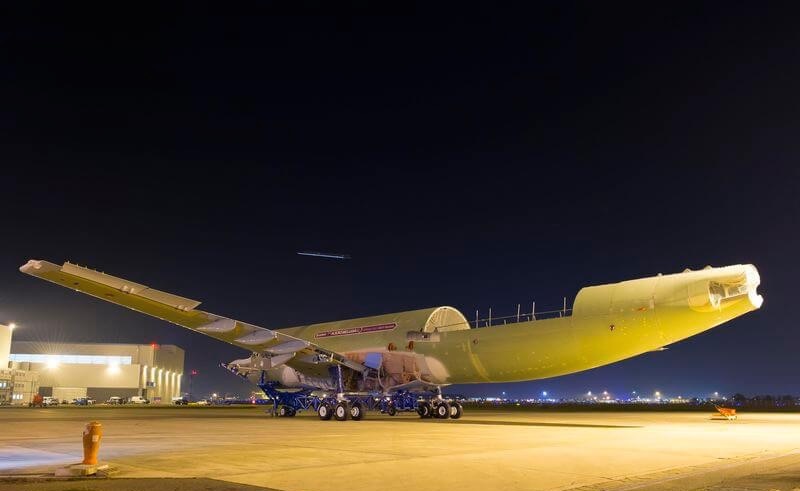 Airbus’ next-generation oversize cargo airlifter is transitioning from concept to reality as the first Beluga XL core airframe starts its 18-month integration process at the company’s production facilities in Toulouse, France. The core airframe is an extract of an Airbus A330-200 freighter that already has been structurally reinforced, providing the platform on which the Beluga XL airframe will be built. This element was assembled in December without a nose fuselage or tail assembly – both of which will be added during activity planned in 2017. Integration of the Beluga XL core airframe will be performed inside the two-section L34 building at Airbus’ Lagardère industrial zone, which is adjacent to Toulouse-Blagnac Airport. For the first 12 months of the assembly activity, the airframe will be completed and its mechanical and electrical systems will be fitted at an integration station. 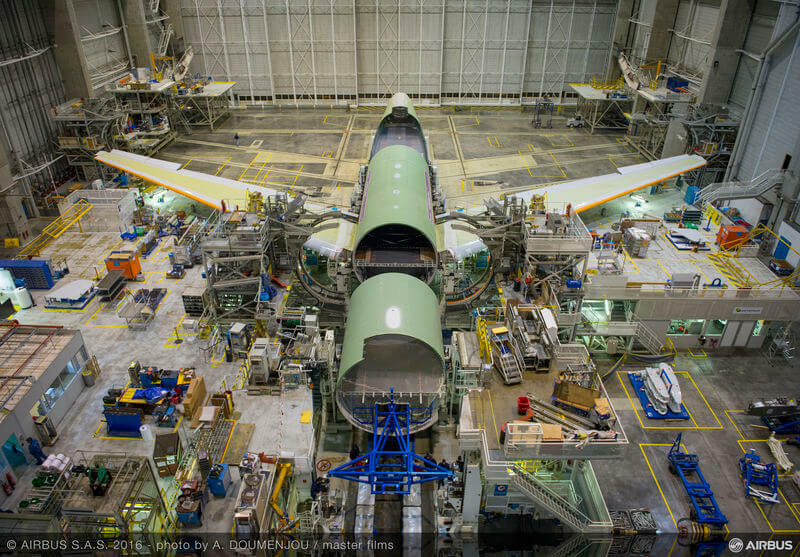 For the remaining six months, the aircraft will move to a second station for ground testing and engine installation. 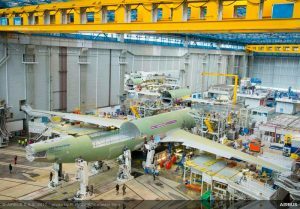 Based on the airframe of the versatile A330 jetliner, a total of five Beluga XL airlifters are to be built, with the first to enter operational service in 2019. They will gradually replace the existing fleet of Beluga ST aircraft, which were derived from the shorter-fuselage A300. Once the first Beluga XL enters service, it will provide crucial support to Airbus’ production ramp-up from day one thanks to its ability to carry a full set of A350 XWB wings.